As one of the contenders in Robb Report’s 2018 Car of the Year contest, the 2018 Audi R8 Spyder is a cutting edge coupe with surprisingly powerful performance. The open top roadster can speed from zero to 60 mph in just 3.5 seconds and has a top speed of 198 mph. 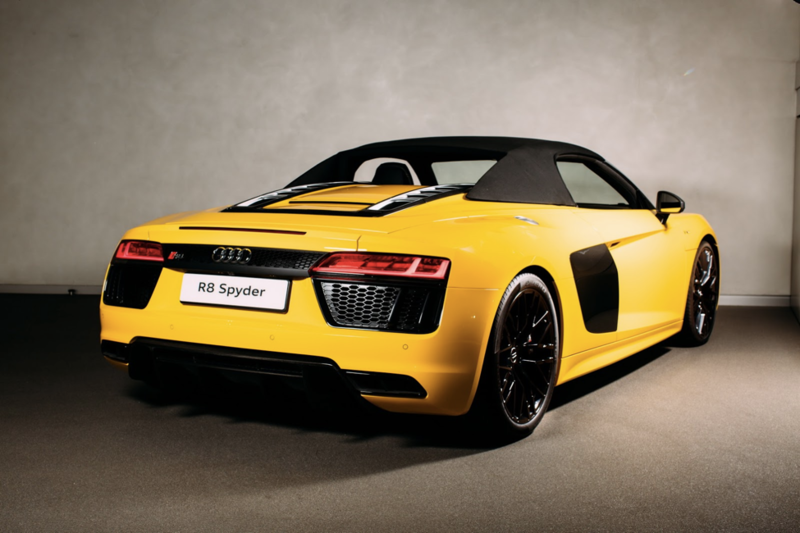 With a 5.2-liter V10 engine, the R8 Spyder puts out 398 lb-ft of torque and has 540 horsepower. It is hard on the brakes and more similar to a racing car in many ways. Its powerful and strong performance made it a strong candidate for Robb Report’s 2017 Car of the Year contest. 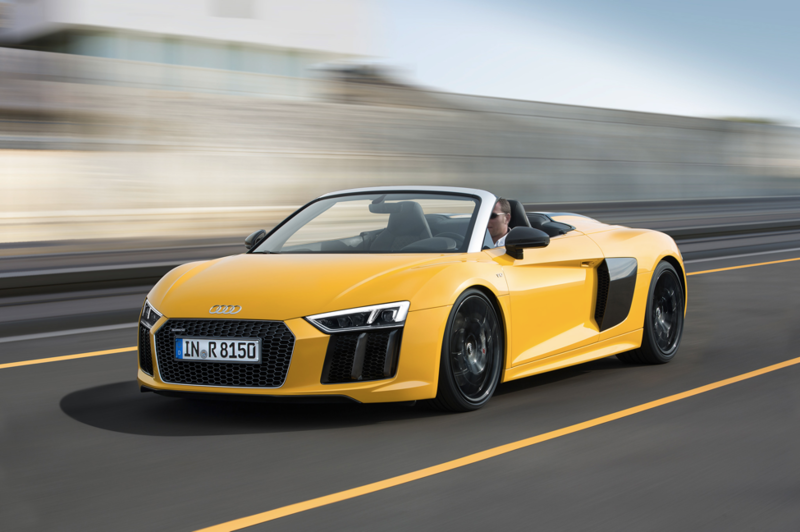 The R8 Spyder is equipped with a 7-speed dual-clutch transmission, shifting seamlessly and decreasing driver workload. The coupe also comes standard with Audi’s Quattro all-wheel drive and torque vectoring system. Additionally, the current model is over 100 pounds lighter and 40 percent more rigid than its predecessor. The standard virtual cockpit within the R8 Spyder features a fully digital 12.3 inch display screen that allows the driver to personally customize audio, navigation, and more information within the vehicle. There is also a sport mode option that displays a larger central tachometer as well as performance statistics such as a lap timer, horsepower, torque gauge, and more. The folding soft top roof has the ability to raise or lower at speeds up to 31 mph and in just 20 seconds. Additionally, the R8 Spyder has LED headlights with Audi laser light technology for easier visibility. Customizable exterior colors range from bright yellow or red to a sleek black. The 2018 Audi R8 Spyder starts at $177,100.